Got five minutes? 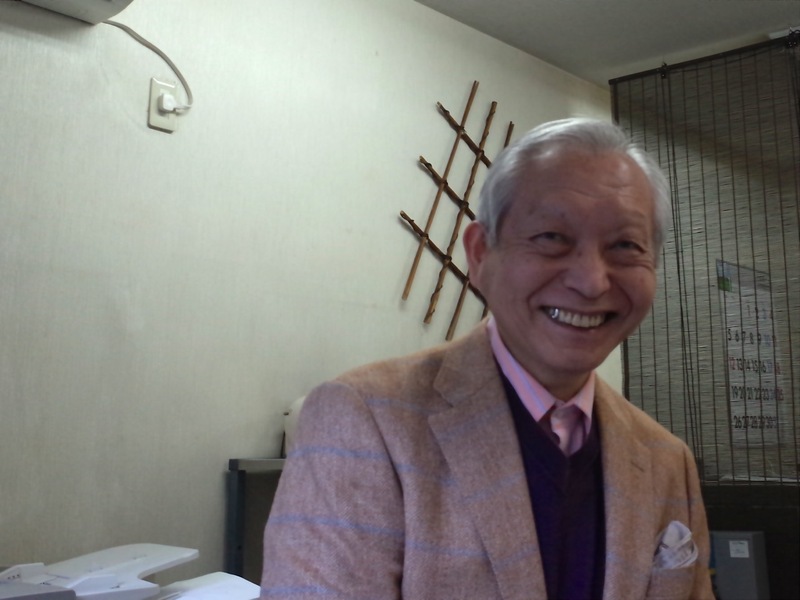 Hayashi the seal-maker waves you in as you pass his store after lunch at Fuji Ramen. A quick raking motion with the fingers of his raised hand. Please sit down he says. He disappears for a couple of minutes and you hear a whisking sound. 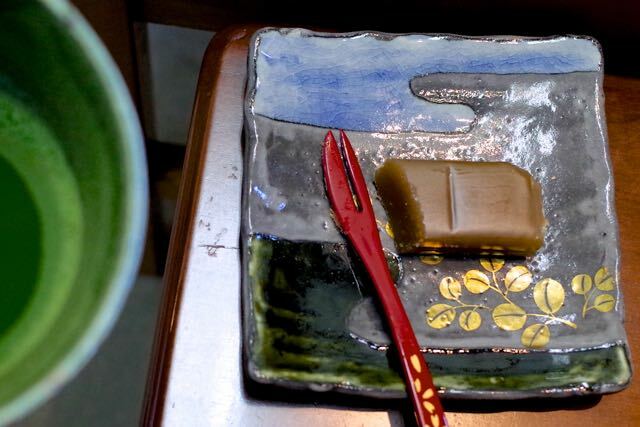 He returns with a bowl of frothy matcha and some traditional youkan confection on a square dish. Hatsu-kama, he says. First tea ceremony of the new year. My father taught me to do this for customers. It stops mamono, bad things, from attaching to you. The yokan is chestnuts and sugar, he says. Nothing added. From Obuse, in Nagano. Under the Tokugawa regime the three official treasures were chestnuts from Obuse, Koshi grapes from Yamanashi and mikan mandarins from…I forget where. The tea tastes soft, with a light bitterness. It’s refreshing. You say, I just had ramen. He laughs and shakes his head. You finish the tea and sweet. He shows you some tea bowls from Kyoto. You ask how he has been. He says, Last November I had a pacemaker put in. Oh, how does that feel. Does that mean you have a battery inside you? He nods with a smile. A bit strange, to tell the truth. How does he recharge it? It lasts 10 years, he says. He seems a little excited. I am a robot person! he says, as he sees you to the door. He does a little robot-like walk. Now I won’t die! Hahaha! I might forget to die! He jiggles some more, and waves you out.